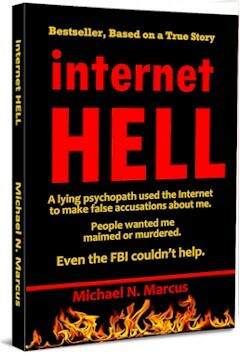 I've reviewed a lot of bad books in this blog. Sadly (and laughably) many or most provide instructions about publishing books. 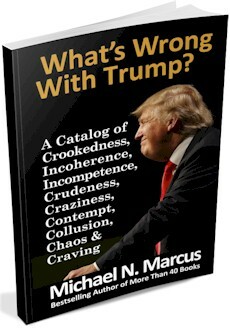 It seems that the second book that comes from the author of a bad self-published book about anything, is a bad book explaining how she or he created and marketed the first book. Most of these books are ugly, unedited and inaccurate. I shudder to think that there are people who buy them, read them, follow their advice and create even more garbage. 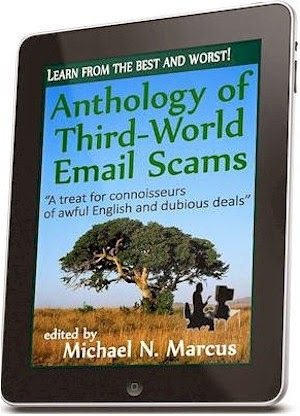 It was a particular pleasure to buy and read a book about self-publishing that is both accurate and attractive. 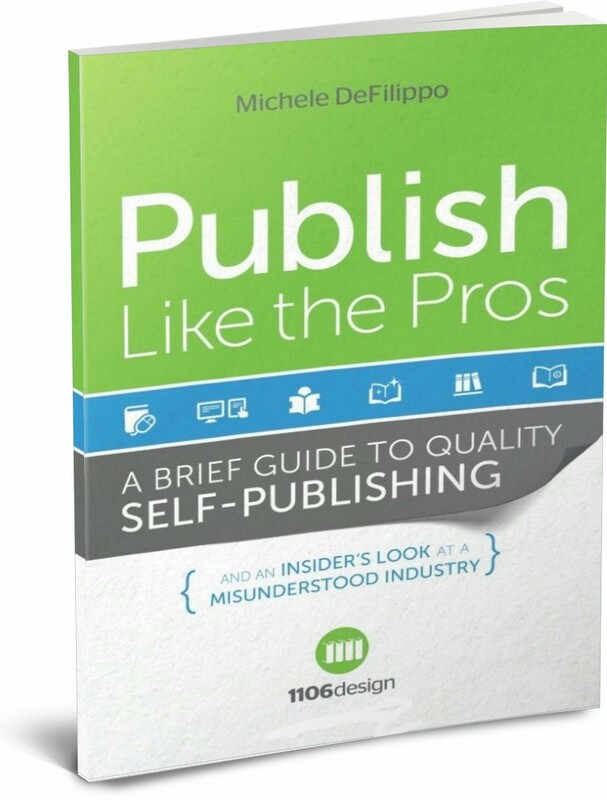 The author of Publish Like the Pros: A Brief Guide to Quality Self-Publishing is Michele DeFilippo. 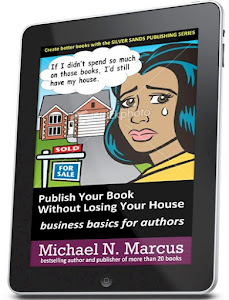 Michele is no newbie to publishing. 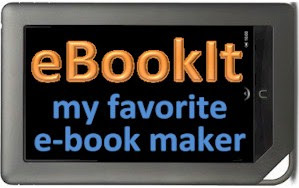 She is an experienced and skilled designer, and owner of 1106 Design -- a company that has provided a wide range of services for many authors. Michele knows what she is talking about -- and that is rare. 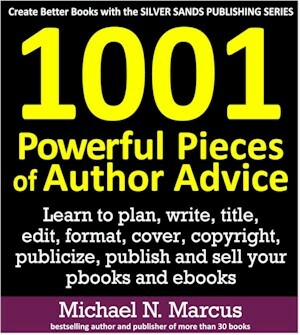 Most books about self-publishing are how-to books (I've written some). 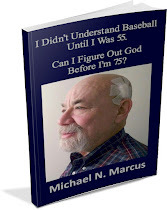 Michele's book is more of a what-to, and what not-to. 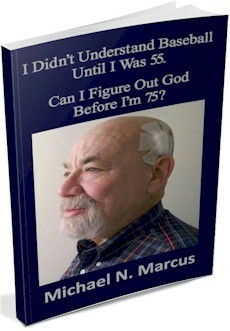 It has become unfortunately easy to become a "published author." You just write a string of words, upload them, hack together something that functions as a cover, and hope and pray. 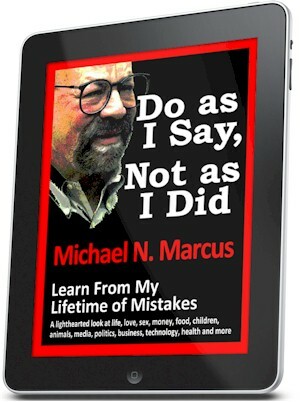 Michele attacks the common belief that you can "do everything yourself -- no training, no experience, no talent required." She compares this to the folly of someone who is advised by a doctor that surgery is needed, and instead of paying for the operation, gets a medical book, a scalpel and bourbon to function as an anesthetic... and then self-butchers. 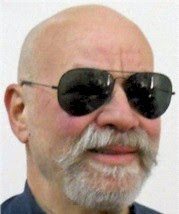 While it is unlikely that botched self-publishing will be fatal, it can certainly ruin the reputation of a new author. The worst mistake that ignorant, egotistical and financially unprepared authors make is to skip professional design and editing. 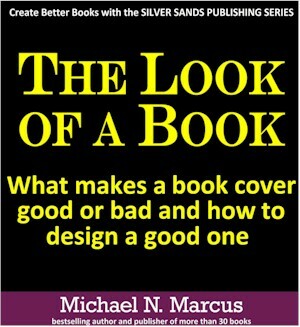 Michele advises that "a good cover is absolutely essential to the success of your book. 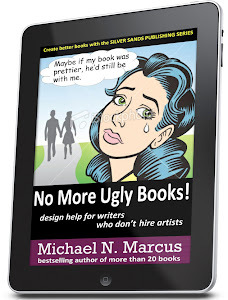 Cover design is not the place to save money." She also points out that "We have never once proofed a book without finding errors, sometimes hundreds of errors...."
Michele's "Parable of the Pumpernickel Baker" is a tale about a baker who goes broke by offering only pumpernickel bread to customers who want other varieties. This is Michele's device for pointing out how important it is for a publisher to offer both e-books and p-books. "It's risky to provide content in only one form," Michele says. "...It's impossible to count the number of sales that were missed as a result of only offering one format." 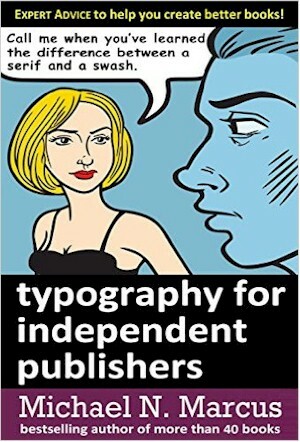 Some more good advice: "If you don't write convincing text for the outside of your book, your readers may never get as far as the inside, so give your title and back cover the attention they deserve!" Although I've been reading for nearly 60 years, professionally writing for over 40 years, and publishing for four years, I can still learn. 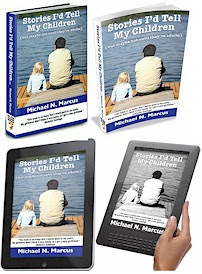 Michele made me aware of the problem of "word stacks -- where the same word falls one above the other on several consecutive lines of text." Thanks. 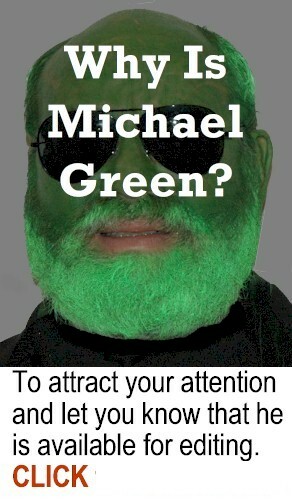 Michele. Michele does an excellent job of explaining the publishing sequence, advises on having productive relationships with service-providers, and tells writers how to keep costs from getting out of hand. Did you know that correcting an "AA" will cost money but correcting a "TE" should be free? The inexpensive book is slim (just 79 pages) but has an extensive chapter on book distribution, pricing and marketing that may be more useful than some huge books about book marketing. I don't agree with everything Michele wrote in the book, such as blogging every day is "overkill" (well, maybe it is overkill for blogs about fiction books); and I format my own book pages because I make a huge number of changes and want complete control over my pages. 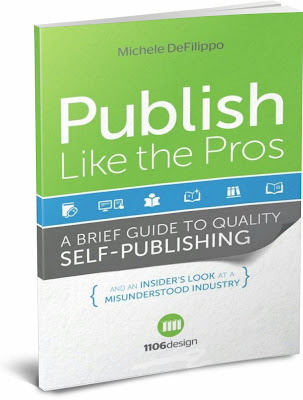 But Michele provides so much good advice, and such important advice, that I strongly recommend this book to anyone considering -- or already involved in -- self-publishing. 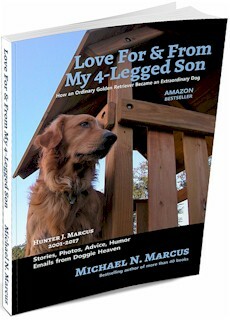 Michele will be a guest blogger here very soon. Check back and learn something important. 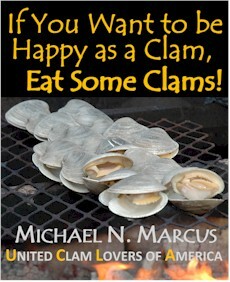 I don't want today's blog title to imply that this is the first good book I've read about self-publishing. There are others, but so few good ones and so many bad ones, that this one deserves the "WOW." Hyphens do not poison books. USE them, dammit. Who are Mrs. Eaves and Mr. Studley?